One of the world's smallest primates, Bohol tarsier is a palm-size nocturnal animal with large imploring eyes that are fixed and immovable (their eyeballs, that is), with a head that can rotate up to 180 degrees, a long fur-less tail, and a finger (the third one) as long as its upper arm. This shy nocturnal primate is so cute you couldn't resist holding or touching it. But of course, you shouldn't! Or they'll be stressed their lifespan would become shorter, around 3-6 years compared to the longer and regular lifespan of 25 years. 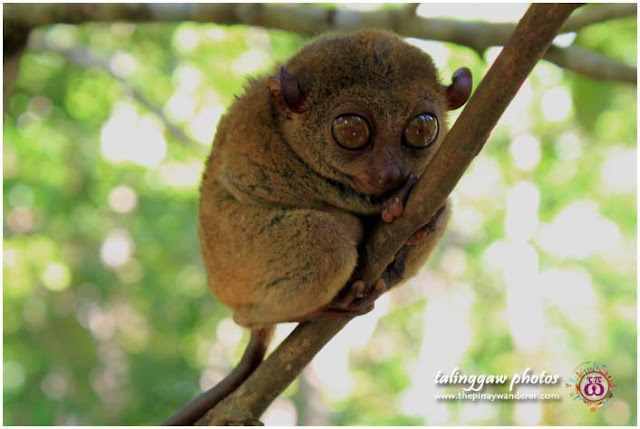 Bohol tarsier and Tarsier Conservation Area in Loboc is one of the major tourist attractions of Bohol. 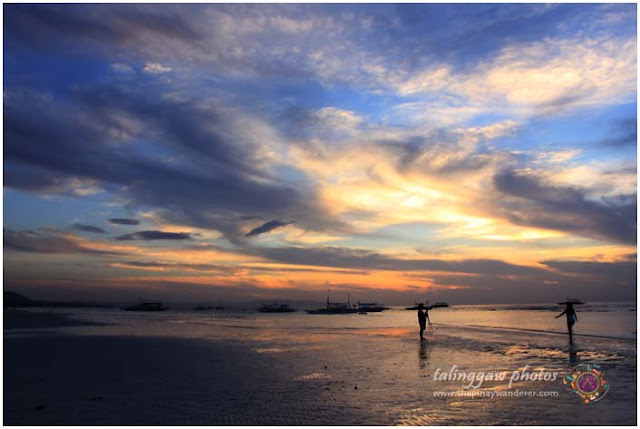 Panglao Island, with its white sand beaches and stunning sunset/sunrise view is also one of the major tourist attractions of Bohol. 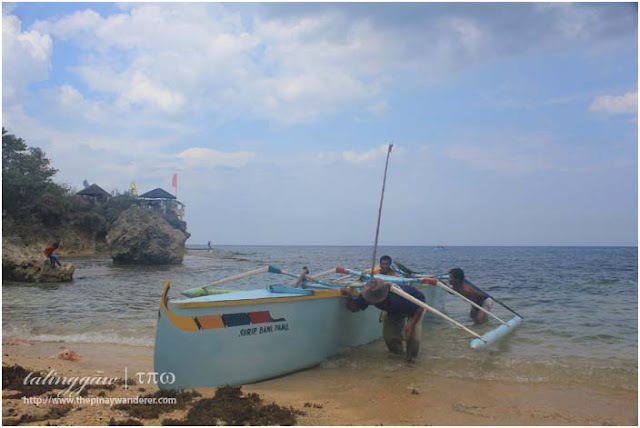 Above-photo was taken in Dumaluan Beach Resort in the Dauis side of the island (Panglao Island is divided into two municipalities, Dauis and Panglao); here, the water is crystal-clear and shallow and the sand is so fine, almost powdery, you can walk on the beach barefoot. I love the sceneries in Bohol. Pero sana, mas malapit sa Tagbilaran yung Chocolate Hills hehehe. Nice shots. 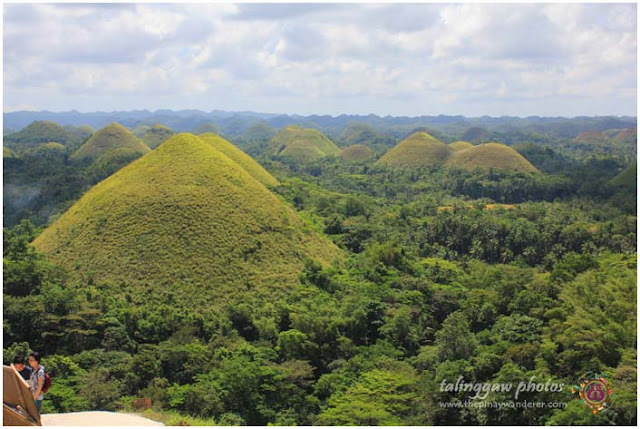 i really want to go in Bohol to see Chocolate Hills and Tarsier pero wala ako budget. sana may budget nako next summer. O sana may promo ang mga airlines. nice shots. ang cute cute naman ng tarsier. gusto ko na uli magbakasyon!